We sell high-quality cold lay asphalt concrete from British manufacturer Instarmac Group, meant for the permanent repair of roads, parking lots, driveways and footways. These products can be applied in hot, wet and cold weather conditions. 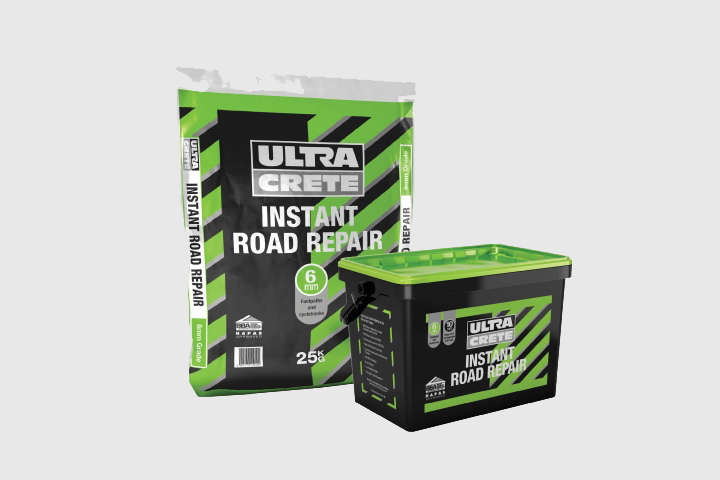 Thus they are ideal for repairing potholes also in winter conditions. The pothole should only be cleaned from snow, water and debris. Thereafter the cold lay asphalt concrete shall be poured in the pothole and compacted. The work is done quickly and the area is immediately trafficable.